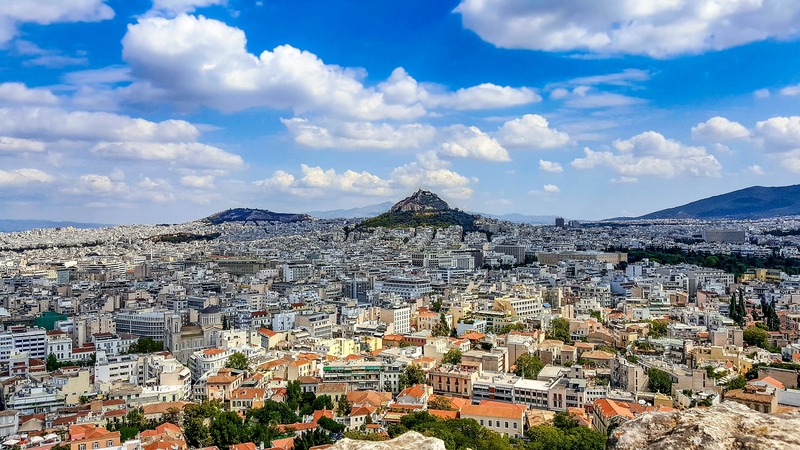 Climate and wearing apparel: Greece enjoys Mediterranean climate with distinct winter, spring, summer and fall seasons. In spring (from March 21 to June 21), temperatures range from the high 50’s to high 70’s during the day. We suggest medium apparel, with sweaters for early morning and light jackets for evening. In summer (from June 22 to September 22), temperatures range from the high 70’s to low 90’s during the day. We suggest light-weight apparel for early mornings and lightweight sweaters for evening breezes. In fall (from September 23 to December 22), temperatures range from the mid 50’s to low 70’s during the day. We suggest medium-weight apparel, with a jacket for early morning and evening. In winter (from December 22 to March 20), temperatures range from the mid 40’s to mid-50’s during the day. We suggest medium to heavy-weight apparel, with warm jackets and hats for early morning and evening. In all seasons, it would be wise to pack a travel umbrella for an occasional shower that may occur. Cuisine: Greek cuisine has a culinary tradition dating back 4000 years. It is also a perfect example of healthy Mediterranean cuisine blending fresh vegetables, legumes and meat with herbs and olive oil. Diverse recipes reflect the characteristics of different regions. For example the islands and coastal areas of Greece favour lighter dishes that feature vegetables or seafood where as the inland regions use more meat and cheese in their cooking. Some of the well-known dishes are “Moussaka” a vegetable casserole with layers of vegetables, garlic, meat sauce, topped with custard. “Spanakopita” is a pie made from phyllo dough stuffed with spinach and cheese. “Souvlaki” also called gyro is pita bread filled with grilled beef, tomatoes, onions, cucumbers, olives, topped with tzatziki sauce. Insurance: Greece has a universal healthcare system. Anyone requiring emergency treatment or hospitalization will be accepted in public hospitals. We suggest checking personal insurance coverage while traveling abroad. Language: The national language is Greek, even though English is commonly spoken in hotels, some restaurants and stores. Useful words to know are “parakalo” (please) and “efharisto” (thank you). Shopping: Many cities in Greece have both large modern shopping malls and smaller local shops, grocery markets and kiosks. It is important to keep in mind the opening hours as they may vary from region to region but generally observe lunch time siesta. The flea markets are very crowded but are very colourful and can be a bargain. Time difference: Greece is 7, 8 and 10 hours ahead of Eastern, Central, and Pacific Time, respectively. Tips: General tips to porters at the hotel and waiters at the restaurants are included. It is customary to leave small change for restroom attendants, during your en route stops, and also at the cafés when consuming a beverage or snack. What is not included is the tip to the tour leader and driver. The suggested tip is $1.50 – $2.50 per person per day for the tour leader/guide and $2.00-$3.00 per person per day for the driver. Transportation: When taking public transportation, please be sure to put anything valuable in a safe place, out of reach of pickpockets that thrive in any large, tourist-filled city. You may wish to make a copy of your passport to have with you and leave the original at the hotel. If taking a taxi, take only the official yellow ones bearing the sign “taxi” on top and meters that should be turned on, as you enter the cab.